The Certified Naturally Grown and Food Alliance labels offer farmers and consumers more choices. Last fall, after wondering for years about whether I should buy produce from farmers who claim that they are “organic, but not certified,” I dug into some big questions about certification. That process led me to explore many other seemingly respectable food labels that—while much less popular than organic—seemed to offer a similar, if slightly different level of transparency between eaters and farmers. Organizations like Certified Naturally Grown and Food Alliance have in-depth certification processes, setting them apart from meaningless, uncertified marketing terms like “natural.” And while there are also a number of strong animal welfare labels (think Certified Humane or Animal Welfare Aproved) as well as the increasingly ubiquitous Non-GMO Verified label, I decided to investigate two that are used for produce. Here’s what I found. Back in 2002, when the U.S. Department of Agriculture (USDA) launched its National Organic Program (NOP), sustainably minded farmers around the U.S. rejoiced. But a handful of farmers from New York’s Hudson Valley were less enthusiastic. Though they were committed to organic practices, they weren’t convinced that the USDA program was an ideal fit—especially considering the cost and paperwork involved. So they formed a grassroots nonprofit called Certified Naturally Grown (CNG), with its own set of standards and a certification process to go with them. “They felt organic [certification] was better suited to larger operations and wholesale channels where there wasn’t that connection between the farmer and the eater,” explains Alice Varon, Executive Director of CNG. The CNG standards are based on the organic standards; they don’t allow synthetic pesticides, herbicides, or GMO seeds, and they require crop rotation and soil amendments. But the program is broader in its scope. Since 2010, it has covered not only produce farmers and livestock producers, but beekeepers as well. 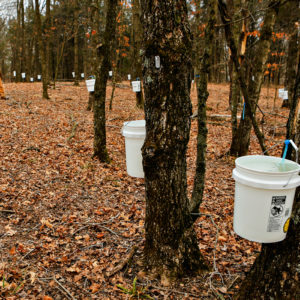 (The USDA does have organic standards for apiculture in the works, but they aren’t scheduled to hit the market until 2016.) CNG is also in the process of developing standards for aquaponics and mushroom cultivation. CNG involves much less paperwork than the USDA organic program—at a more reasonable cost. That’s in part because the organization employs a peer-review inspection process: Each annual on-farm inspection is done by another CNG farmer. For free. In fact, all certified farms must inspect at least one other farm. They’re also drawn to the lower certification cost. While USDA organic certification can be prohibitive for small-scale operations (as much as $1,000 a year, depending on the size), CNG has a sliding scale that starts at $100 per year. CNG also has a scholarship fund for beginning farmers or those who have suffered unusual difficulties such as extreme weather or physical injury. Farmer Rick Reddaway, who has a “petite” vegetable farm in Orient, Oregon, grew weary of telling his farmers’ markets customers, “No, I’m not certified organic, but I do grow everything without pesticides or herbicides.” Wanting some accountability, he chose CNG both for its lower cost and because it doesn’t require conventionally farmed land go through a three-year transition period before it can get be certified. The CNG application asks farmers if any prohibited pesticides or herbicides have been used on their fields over the past three years. If the answer is yes, CNG will allow a farmer to have “CNG transitional status” as she transitions her farm from conventional to organic. Reddaway was able to get full CNG certification because the East Multnomah Soil & Water Conservation District, which owns his land, told him it had been fallow for three years. 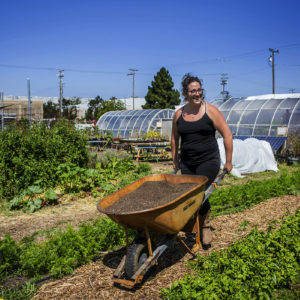 “I’m in an incubator program on land that I’ll soon have to leave, so it just didn’t make sense for me to do USDA organic certification,” says Reddaway. Farmer Rashid Nuri, who runs an urban farm in Atlanta, Georgia called Truly Living Well, says USDA organic standards were much too onerous for him. “I have multiple farm sites and 10 years ago, each site had to have its own documents to be certified organic,” says Nuri. Though this rule has since changed, Nuri is a loyal member of CNG. To make certification as transparent to consumers as possible, the grower’s complete application is posted on the CNG website, as is the last date of inspection and the name of the certifying farmer. “We take comfort in the fact that our website is completely up-to-date,” says Varon. When she gets the occasional call from a consumer saying that a farmer using the CNG logo isn’t up on the CNG site, Varon sends the farmer a letter. So why would one choose CNG produce over organic? Since CNG is tailored to direct-market farmers, the CNG label typically means your produce is coming from a local farm. Though some organic produce comes from local farms as well, much of the organic produce you find at Whole Foods or Walmart has been shipped from great distances. Organic, in other words, does not always mean small, community-supported farms. CNG produce may also be less expensive than certified organic, though it depends on where the farmer is located and the scale of her operation. 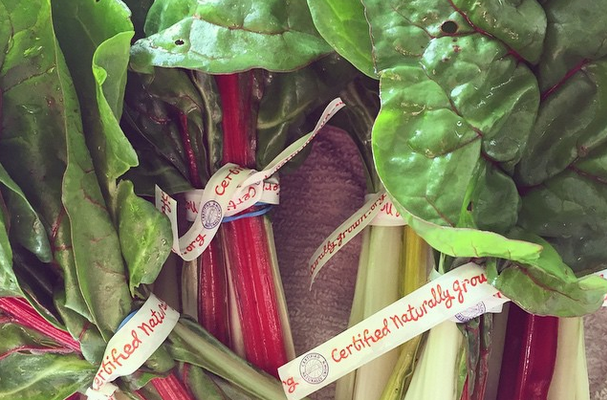 On the down side for farmers, Certified Naturally Grown doesn’t have anywhere near the name recognition of the certified organic label, nor is it as ubiquitous. But since 2002, membership has been steadily climbing, mostly via word-of-mouth. CNG has 740 certified farms and apiaries in the U.S. The highest concentration of CNG-certified farms is in the Southeast, with a preponderance of them in Georgia. While the organic standards are seen as relatively stringent by many, they are notoriously lacking when it comes to labor and and animal welfare standards. And some farmers believe they could have a wider environmental scope as well. That’s where the Food Alliance label comes in. “What appealed to us was Food Alliance’s broader and deeper look at agriculture and food in general,” says Shepard’s Grain General Manager Mike Moran. Like organic growers, Food Alliance-certified farmers cannot grow genetically modified seeds or use high-toxicity pesticides, and they must also practice integrated pest management, an ecosystem-based approach. 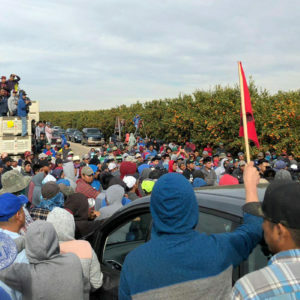 But in addition, Food Alliance farmers must practice soil and water conservation, wildlife habitat and biodiversity conservation, and prove that they’re offering safe and fair working conditions for employees. That last part means having a grievance procedure, a nondiscrimination policy, and offering benefits like health insurance and bonuses, among other things. In addition to crops, Food Alliance has standards for livestock operations, shellfish farms, nurseries and greenhouses, and even food handling operations. “This appealed to us because you can certify that everybody who touches your product is aligned to the same philosophy,” says Moran. So, not only do all 38 farmer-owners at Shepherd’s Grain have to be certified, but the Old Centennial Mill in Spokane, Washington, owned by ADM, has to be certified as well. Food Alliance was founded in 1998—four years before any national organic standards existed. The organization doesn’t forbid the use of all synthetic pesticides and herbicides, but it does ban all chemicals that the World Health Organization classifies as “extremely hazardous” and “highly hazardous.” This means that chemicals like glyphosate and diuron (both classified by the WHO as only “slightly hazardous”) are permitted. However, executive director Matthew Buck says the organization’s focus on Integrated Pest Management is meant to reduce if not eliminate the need for chemical applications. Some farmers prefer this because it gives them wiggle-room if they can’t use IPM to suppress a pest that’s decimating their crop. FA also FAC also allows farmers some wiggle-room on chemical fertilizer applications (unlike organic), but the hope is that using cover-cropping, on-site composting, and integrating livestock into crop production will prod farmers to use much less commercial fertilizers. A Food Alliance-certified wheat grower, on the other hand, can “direct-seed” with minute amounts of chemical fertilizer and they don’t need to take as many passes through the fields. Not only are they conserving oil, they’re building organic soil matter and sequestering carbon. “I think there are many benefits to organic agriculture and it represents an improvement over ‘conventional,’ but I don’t think organic is the paragon of sustainable agriculture,” says Buck. Margaret Reeves, Ph.D., senior scientist at the Pesticide Action Network, supports organic because of the integrity of the label. But she understands the appeal of Food Alliance. “I have visited some of the big organic farms, that for all intents and purposes look pretty darn conventional, except they don’t use the disallowed products,” says Reeves. “Food Alliance goes beyond that by offering the environmental stewardship parts that organic does not.” Reeves has also been involved in the creation of a new business-to-business certification process called the Equitable Food Initiative, which is aimed at protecting farmworkers from pesticide exposure and abusive working conditions. Find a list of Food Alliance-certified producers here and a Certified Naturally Grown-certified producers here. As a small operation, we have felt shaken down by certification programs. It has been all about the money with little regard of the razor thin margins we're trying to live on. We're trying to do the right thing, but feel slapped down by the orgs that are supposed to be on our side. Any certification that allows glyphosate is worthless. "This means that chemicals like glyphosate and diuron (both classified by the WHO as only “slightly hazardous”) are permitted." Matt from Food Alliance here. I have communicated at length with Richard Mandelbaum of the DFTA regarding their assessment -- which failed to consider the actual requirements for Food Alliance certification. DTFA consistently used "level 1" criteria in their analysis (which in most cases represent simple compliance with law), instead of the "level 3" criteria which identify progressive practices and qualify an operation for certification. It disappoints me that DFTA willfully misrepresents our program when I know we have a common goal of improving conditions for farm and food workers. Matt at Food Alliance again. I appreciate your concern about glyphosate and the use of agricultural chemicals in general. There has been a lot of negative publicity for glyphosate, which is associated "Round Up Ready" GMO crops and is being overused as a result. But it is important in assessing human and environmental health risk to rely on the best available science. Glyphosate is low-toxicity and breaks down quickly. There are a number of inputs allowed under organic rules that are higher in toxicity. "The difference between medicine and poison is the dose." Overuse is a problem - but there is a place for occasional, limited use in a well managed system. There is a long list of chemicals I worry more about.